For your next adventure, start with a journal that’s already been halfway around the world. 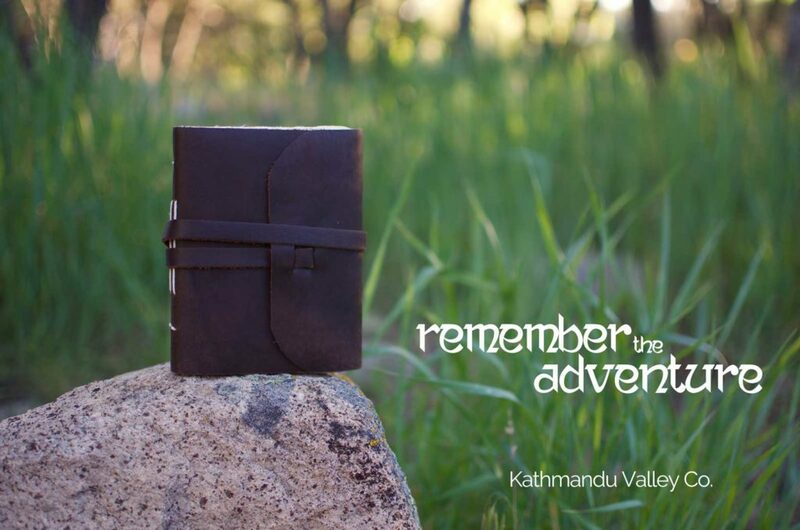 The Rustic Everest Explorer Journal by Kathmandu Valley Co. started its journey in the Himalayas of Nepal. The adventure began high in the Himalayas with a paper-making tradition that spans 1,000 years in Nepal. It begins with a non-tree source for the paper, the Lokta bush. The bush grows on the southern slopes of the Himalayas. When cut, the bush sends out new shoots fully regrowing in about five years, making it a very renewable paper source. The inner bark is stripped from the cuttings and cooked into a mash that is then applied to boxed screens and set to dry in the Himalayan sun. As the lokta mash dries, it forms into the paper creating a beautiful and natural texture that includes bits of the outer bark. The paper makes its journey to the capital of Nepal, Kathmandu via donkey caravan that navigates the passes of the Himalayas. Once in Kathmandu, the lokta paper is hand sewn into our journals. Lokta paper has been made in the rural villages of Nepal for over 1,000 years. It’s tough, rugged, and has a feel unlike any other paper in the world. The Everest Explorer Journal features 96 pages with 100% natural lokta paper and leather that comes from Water Buffalo hides and is tanned using the time-honored practice of vegetable tanning. The dark brown color is achieved by using black walnut husks in the tanning. Continue the adventure by capturing the memories of your travels and experiences in the Everest Explorer Journal.